I don't know how it happened, but I've become something of a Life to Live Collector lately. 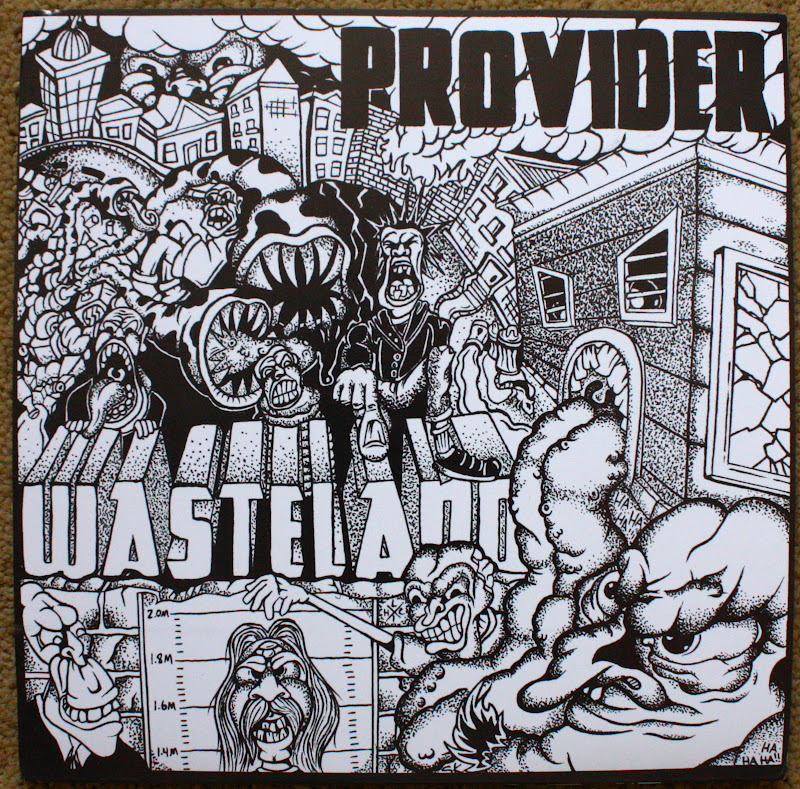 The first test press I got was this one for Provider's "Wasteland" EP. 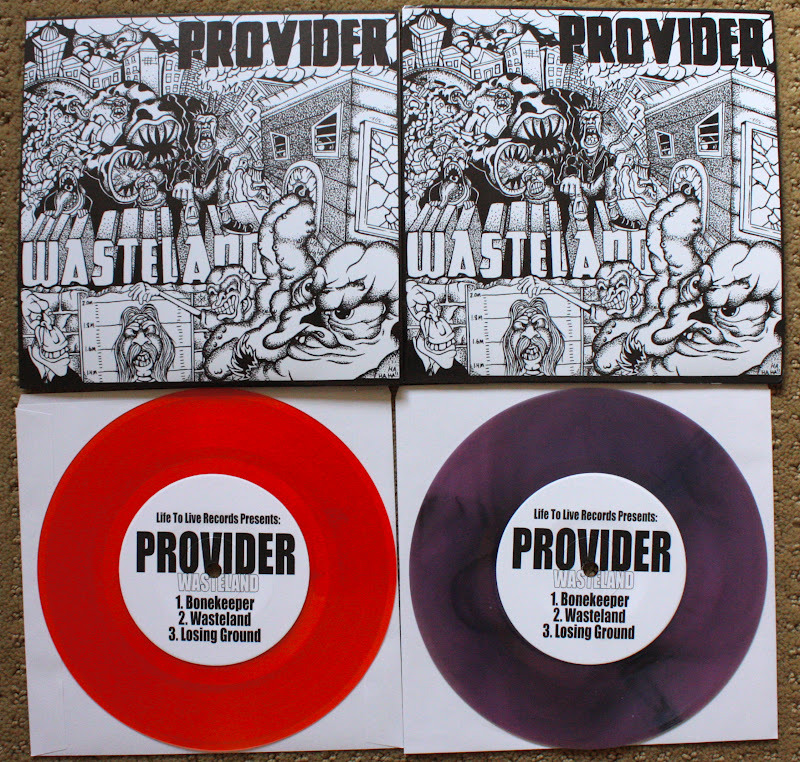 They put up 5 test presses when they put up the pre orders so I decided to scoop one. Then Dan sent me the Step Aside test press because there was some issues with the order, and then I decided I should just go ahead and get the Losin' It test press off ebay while I was at it, so I could get all of Life to Live's "Big 3" Test presses. Unfortunately, The Life to Live site with the pressing info on it is down for the summer so I couldn't verify the pressing amounts. But I know the test press is /27, Pre Order /75, and I think the purple was /125, red /150, and black /225... But I can't verify those numbers anywhere. The only thing left is the Black copy which I wasn't really planning on getting, but now that I see all these next to each other I'll probably have to scoop one just to feel complete. Let's get down to the nitty gritty. 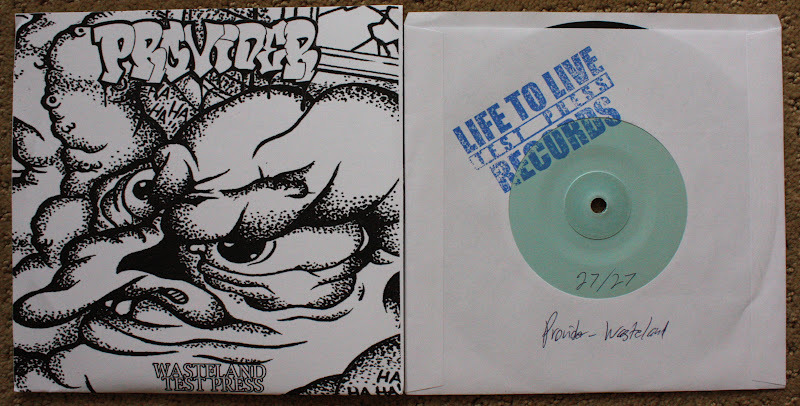 I absolutely love this 7", and it is by far my favorite of all the Life to Live stuff. 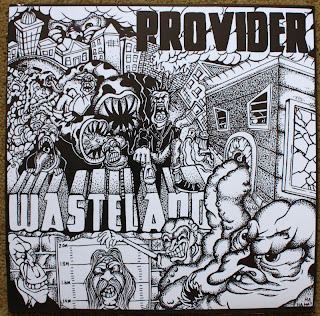 If Losin' It and Step Aside are more similar to the Youth of Today style, Provider would be more similar to that Judge style. They definitely have that harder feel to their sound, and are very similar to other newer bands like Backtrack and Tough Luck. 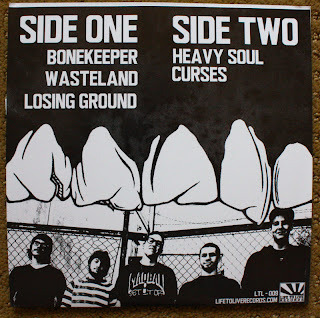 This is an excellent seven inch though and I highly recommend it. The artwork is fantastic on this thing as well. I really hope these guys come out to Cali soon, and this is such an impressive first release that I'm sure their next stuff will be blowing people away. Here is the pre order version, and as noted by Mike this has a very strange cover. I don't really like it, at all, but whatever. Here is the test press out of /27. 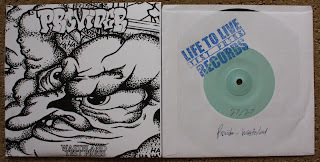 As all Life to Live test presses go, it has the stamp halfway on the sleeve and record, and is also hand numbered on the record itself as well as the sleeve. 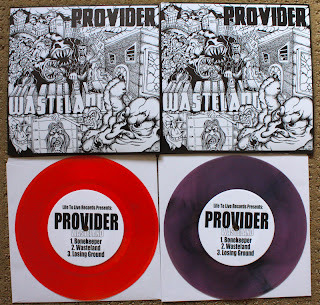 I'm glad the test press cover looks better than the pre order though. Now quit playin' and go check out this record!! !